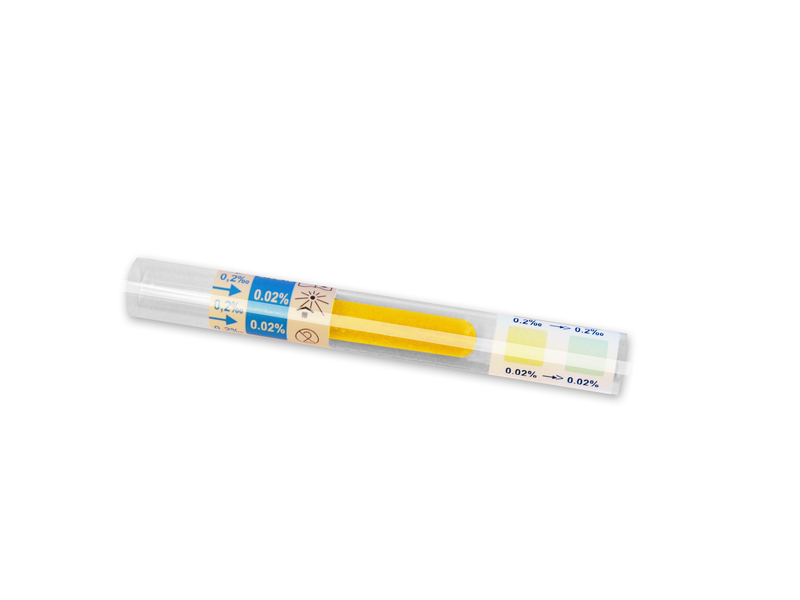 The Alcohol Breath Tube is intended to measure alcohol in human breath and is for the diagnosis of alcohol intoxication. 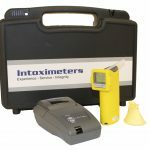 The Breath Alcohol Detector is a semi-quantative, rapid screening test. It indicates relateive Blood Alcohol Concentration (BAC) at 0.02% cut off level. Each detector contains crystals that detect a specific cut-off level of BAC. The test is based on chemical reaction. Alcohol reacts with the crystals in the detector to produce a colour change from yellow to green or blue. The colour change depends on the amount of alcohol in the breath. If the test is positive, the amount of alcohol in the breath is greater than or equal to the cut-off level of the detector. Results in 2 minutes.